Cosmo Kitchen has set a standard for luxury stainless steel gas ranges. 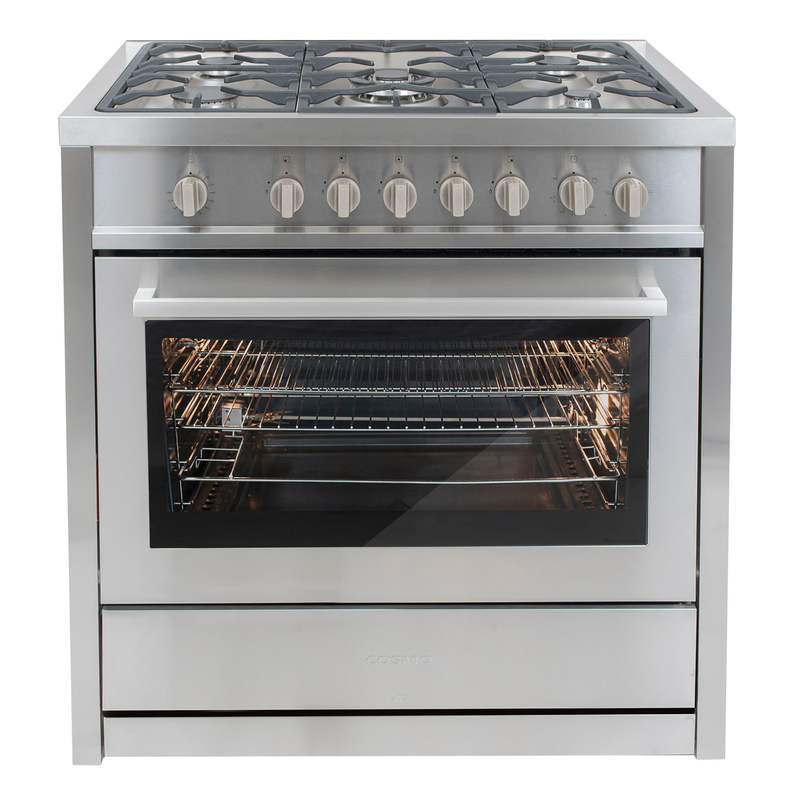 This 36″ gas range features 5 high-performance Italian made burners and a rotating roasting rod with its oven. 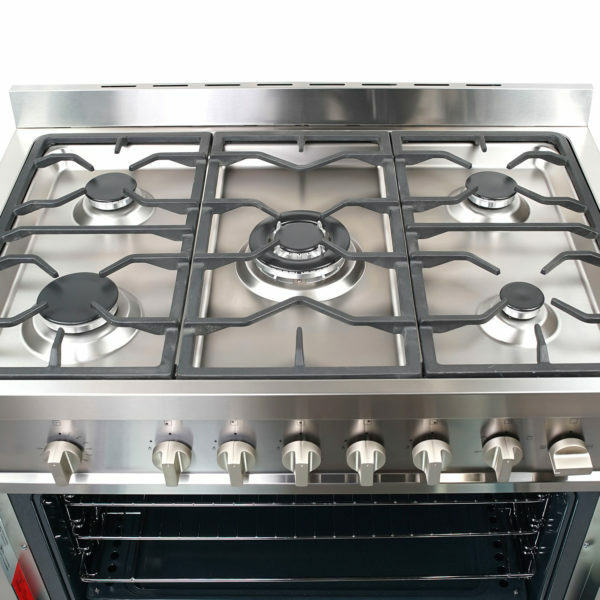 Cosmo Kitchen sets a standard for luxury stainless steel gas ranges by providing any kitchen with performance and style. 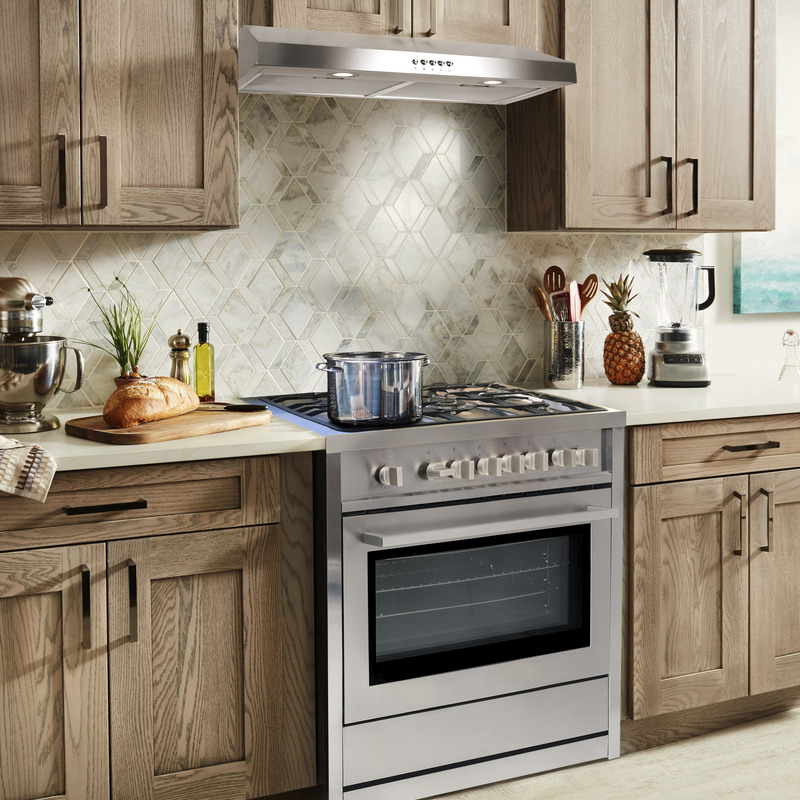 The 3.8 cubic foot 19,000 BTU oven has the space and the power to get it done fast. 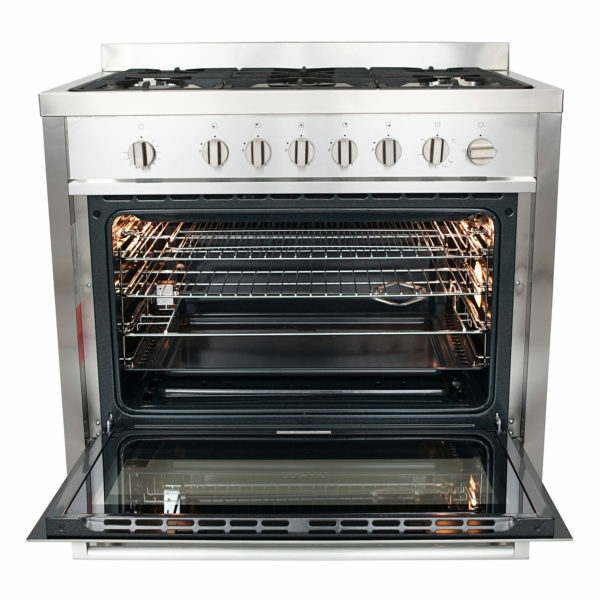 It has a 15,000 BTU broiler for grilling and browning food. 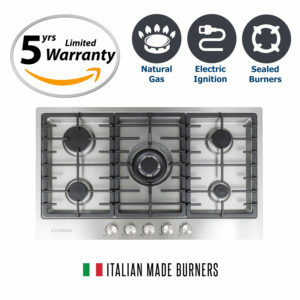 Featured are 5 high-performance Italian made burners, and a motorized roasting rod (roasting rod unit can be removed when not in use for more oven space). 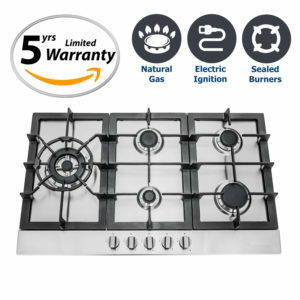 The high-performance gas burners allow you to cook from a high heat for boiling, frying or searing to a low simmer for the most delicate sauces. 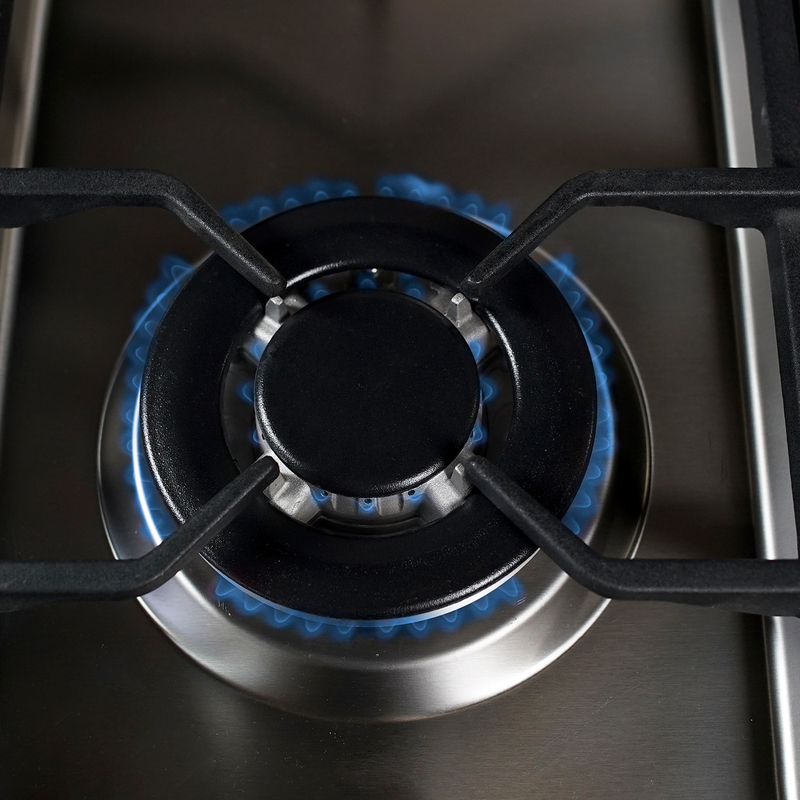 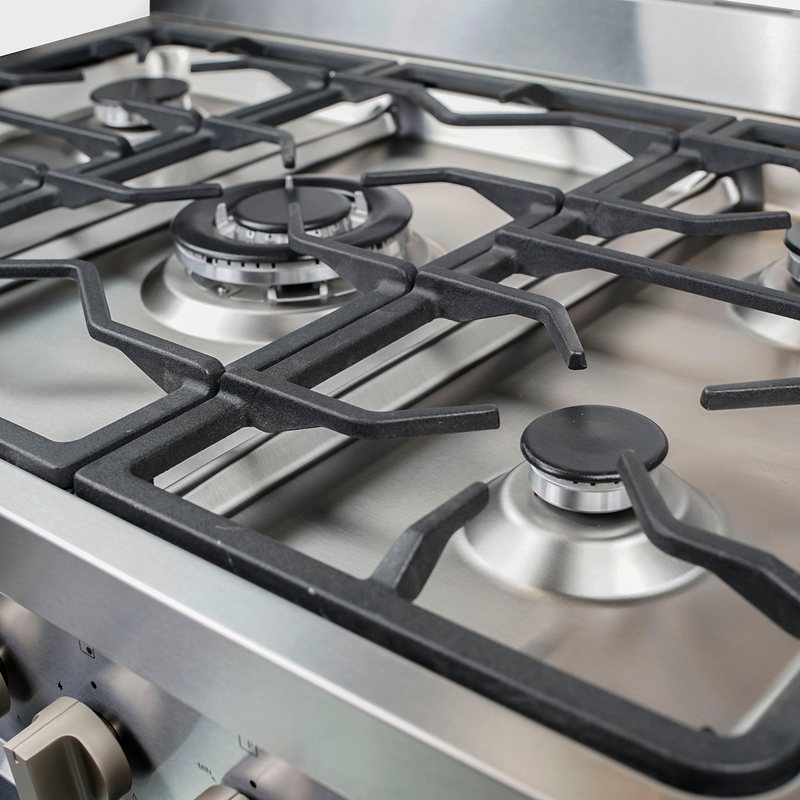 The removable backsplash gives it the versatility to be used as a freestanding or slide-in gas range. With its classic stainless steel body and solid metal control knobs this appliance is designed to perform as well as it looks. 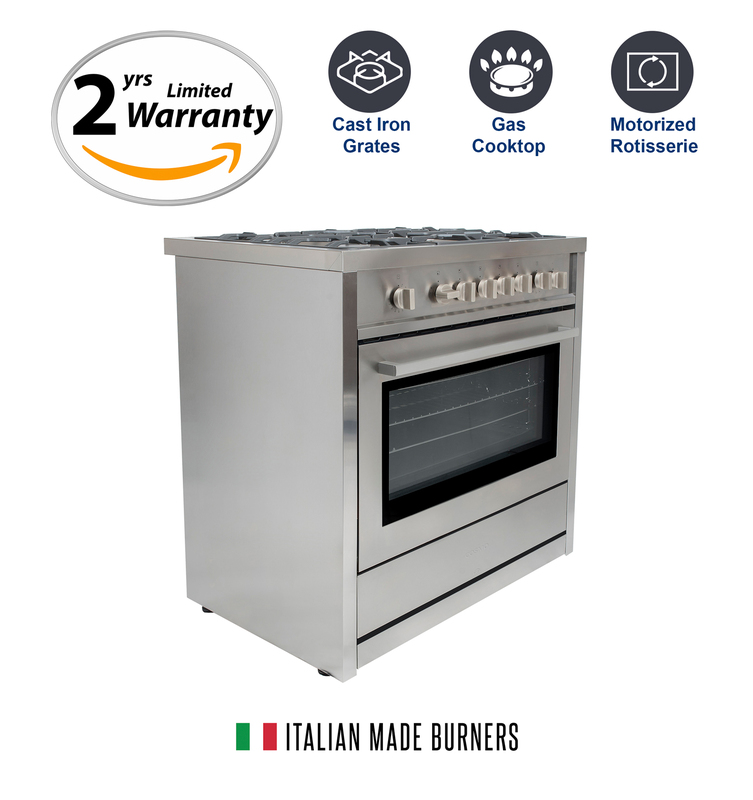 3.8 cu. 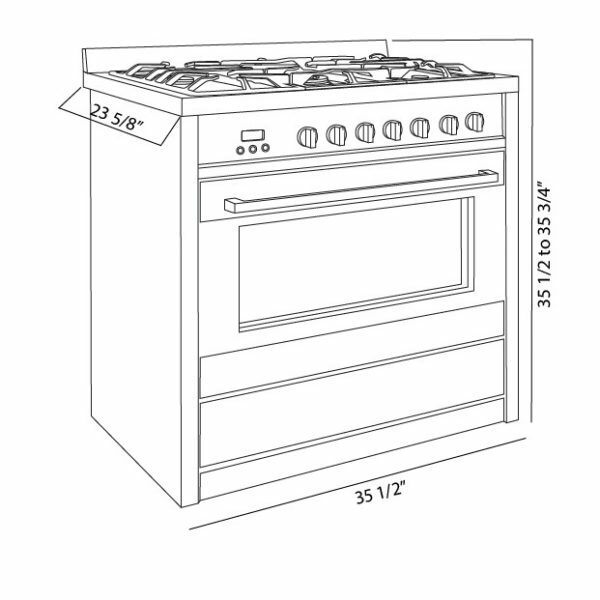 ft. oven capacity for cooking multiple dishes. 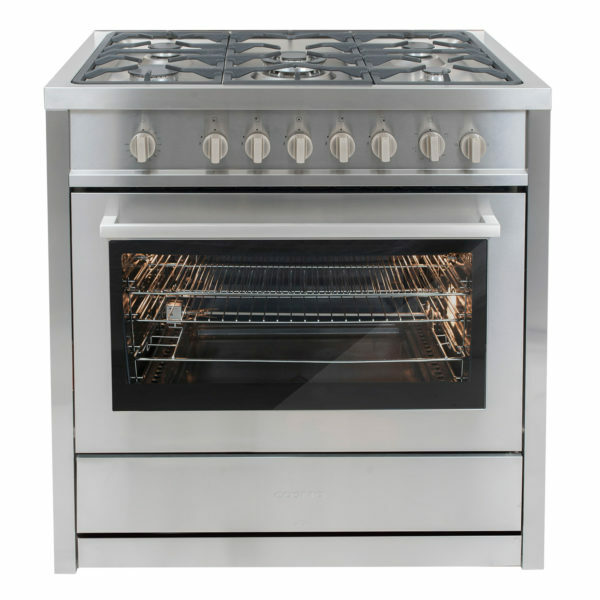 15,000 BTU Triple ring burner for high heat searing. 10,200 BTU Rapid burner for medium to high heat cooking. 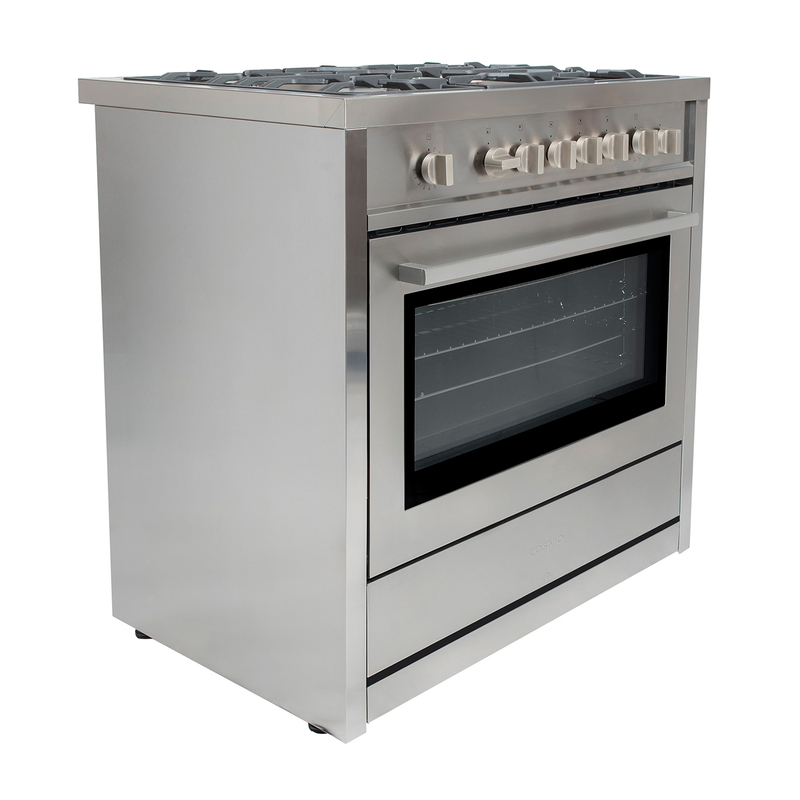 Features twin 7,500 BTU Semi-rapid burners for medium heat. 5,000 BTU Auxiliary burner for low heat. 15,000 BTU Broiler for grilling or browning food. 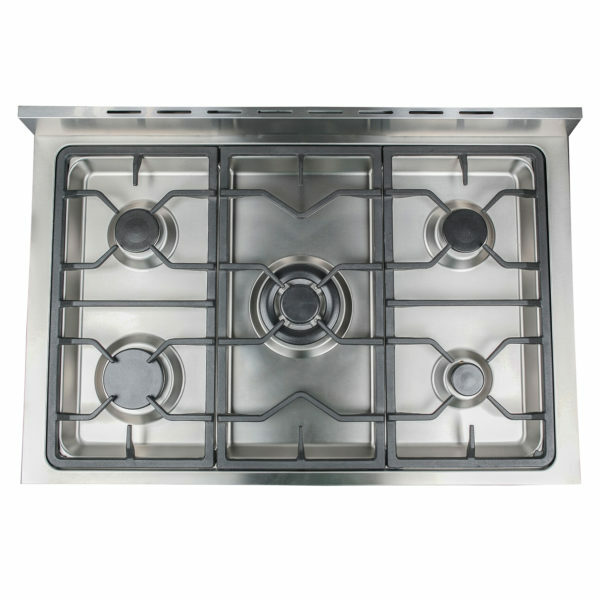 Stylish stainless steel control knobs are easy to operate. Modern Stainless steel surfaces are easy to clean and look great. 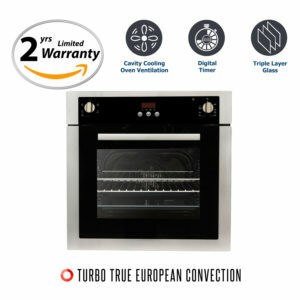 Double oven lights to easily monitor the progress of your cooking. 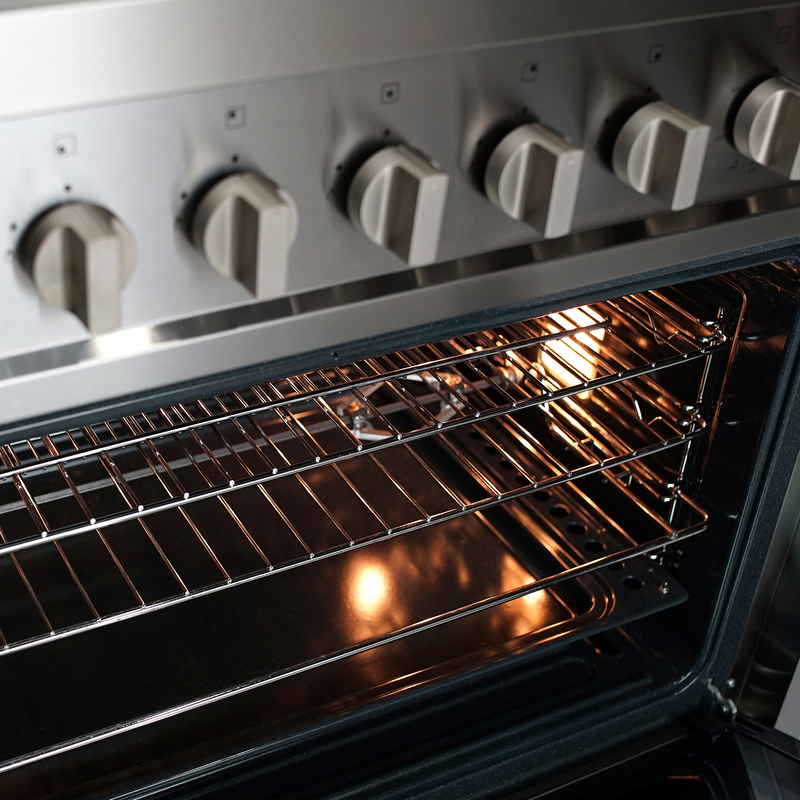 Two chrome oven racks can be configured into 4 positions to accommodate multiple baking needs. Dimensions (W x D x H): 35 1/2 in. 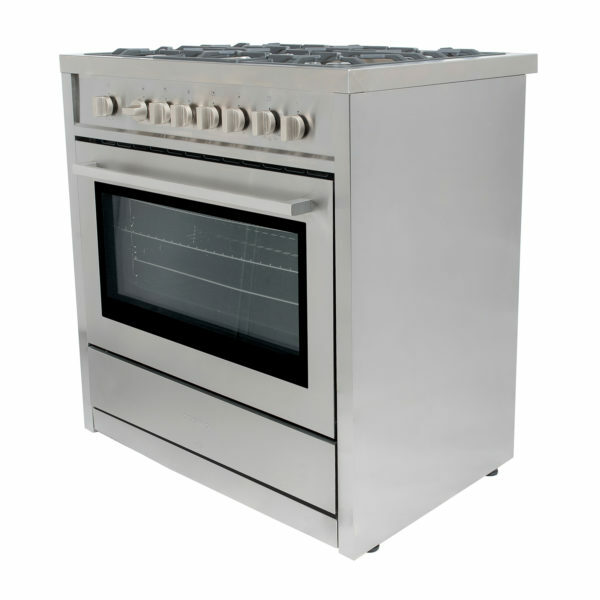 x 23 5/8 in. 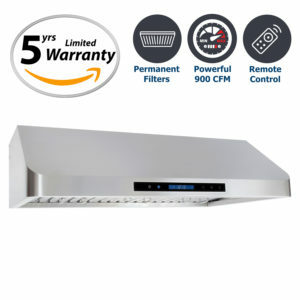 x 35 3/4 in.